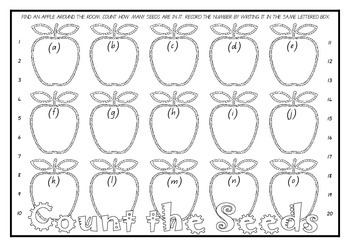 1.The teacher places the apple cards around the room without showing the students. 2.Students walk around the room with a recording sheet, clipboard and pencil, searching for the apple cards. 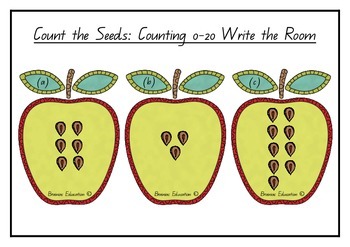 3.When a student finds an apple card they must look what letter card it is count the number of apple seeds shown. 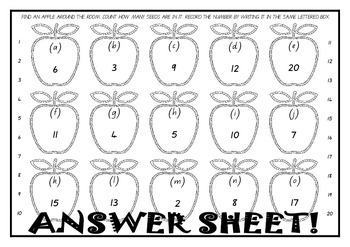 4.Students then need to find the box with the same letter on their recording sheet and write their answer.